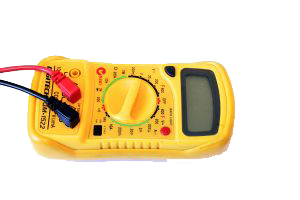 Reactive Electrical are qualified to undertake all aspects of inspection and testing. As a completely independent electrical testing specialist, we pride ourselves on our professionalism and our ability to be able to offer a high quality service. Carrying out periodic inspections on your property’s electrical systems will provide you with peace of mind and an up to date status report of its condition. Knowing that your systems and equipment comply with the Electrical regulations and having a certificate of electrical safety is key to a safe home or business. All inspections need to comply with the current Health and Safety Guidance and PAT Testing (for portable appliances) regulations. It is also a requirement under the IEE wiring regulations of 2004 that all electrical installations have certificates accompanying them. Our engineers will carry out testing on the whole of your electrical system within your property, from the distribution board through to the socket outlets and light fittings. You will receive a periodic inspection certificate along with the schedule of the tests we have carried out. Any failures or recommendations will be noted on your certificate, and when they have been rectified and re-tested we will issue you a new certificate. We can also carry out portable appliance testing (PAT) on all of your appliances in domestic and commercial properties. All testing is carried out in compliance with health and safety laws. If you are a landlord, then you must ensure that all the electrics and any appliances in your properties are tested for safety. The same rules apply if you own any commercial buildings. So if you live in Corringham. Basildon, Grays or anywhere else in Essex and would like an inspection or your electrics tested, then contact Reactive Electrical today for more information.